Áiseanna Tacaíochta (ÁT) would like to pay tribute to Tom Chambers, a strong disability activist and proud Mayo man who passed away earlier this month. 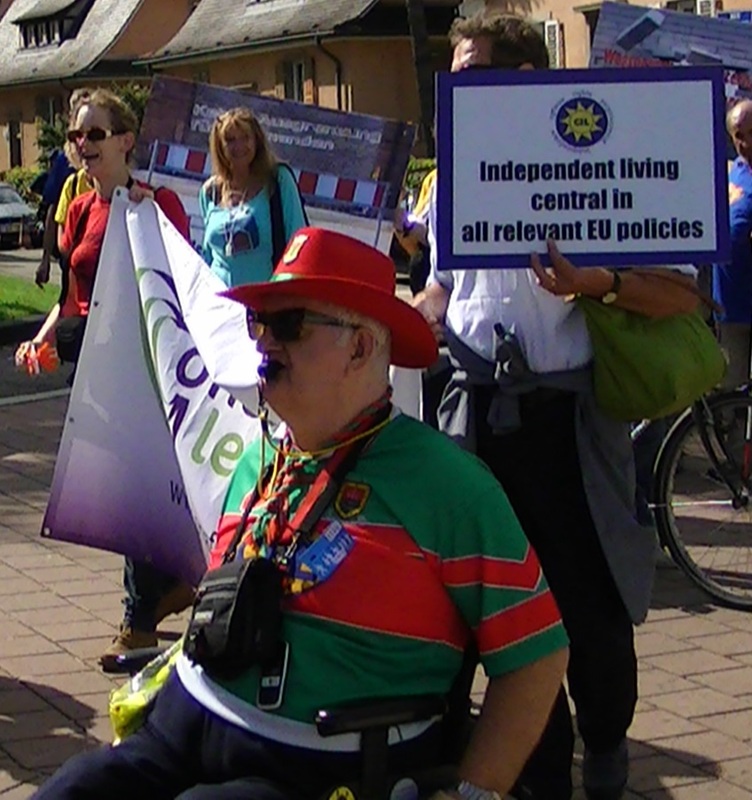 Hailing from Newport, Tom was a very active and well-respected campaigner on accessibility and disability issues, often to be seen in Leinster House or at the gates of the European Parliament to lend his voice to the push for change. Tom used a wheelchair himself, after acquiring a spinal cord injury in a car accident in the early 1980s. Director of ÁT, Martin Naughton, shared a few stories about Tom, who was a familiar face at the Strasbourg Freedom Drives. “As well as giving his heart and soul on the days that he was over there”, he told, “Tom always made the journey interesting for himself. One year, he raced a fellow from Sligo to Strasbourg, with Tom travelling by rail – including through the Channel Tunnel – and the other man going by plane. Part of the challenge was to see who lost the most luggage or came away with more funny stories. I’d say the only thing Tom lost was sleep; he certainly had the most fun. That was the kind of man he was; he’d take in all of those little things and they would be just as important to him”. The Freedom Drive is a lobbying campaign held every two years by people with disabilities across Europe, aiming to bring issues of disability, equal rights and inclusion to their national members of the European Parliament. Tom had attended many of the Drives down through the years. Martin recalled how, even when he away from home, Tom was never too far away from his Mayo jersey. “He wore his colours everywhere: not just on his sleeves or his heart, but on his wheels and everywhere else as well. Tom was a continuous presence and will be sorely missed at the Freedom Drive this year, which is actually taking place in Brussels for the first time. I wonder what advice Tom would be giving us for it now!”. Tom lived independently in his home in Newport, and was a keen supporter of the Mayo football team. He also took part in a monthly Self Defence Programme, which shared Jeet Kune Do techniques to people living with a spinal cord injury. Tom passed away in the National Rehabilitation Hospital in Dún Laoghaire 0ver the second weekend of January, at the age of 69. An obituary for Tom Chambers featured in the Mayo News on 13th January. To read the article, please click here.